The benefits of being exposed to the comforting tones of the gongs include stress relief, deep relaxation and the release of blocked energy. 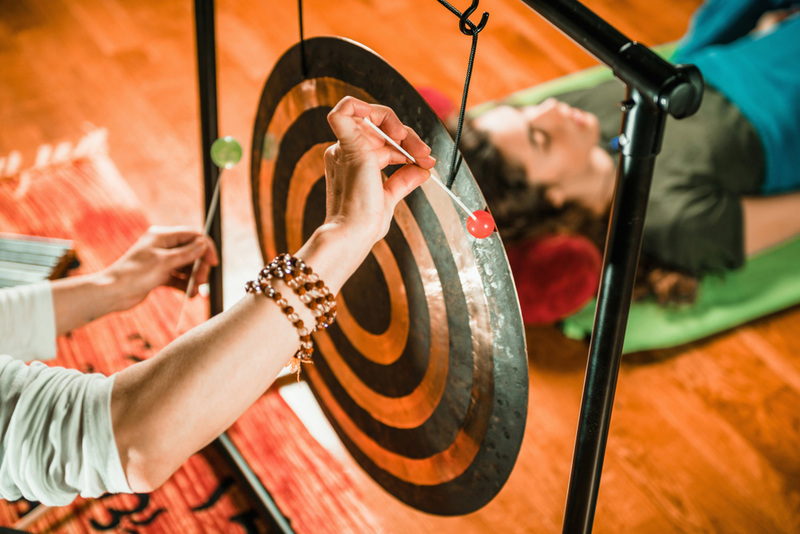 Gong meditation has been around for thousands of years as a way of healing. 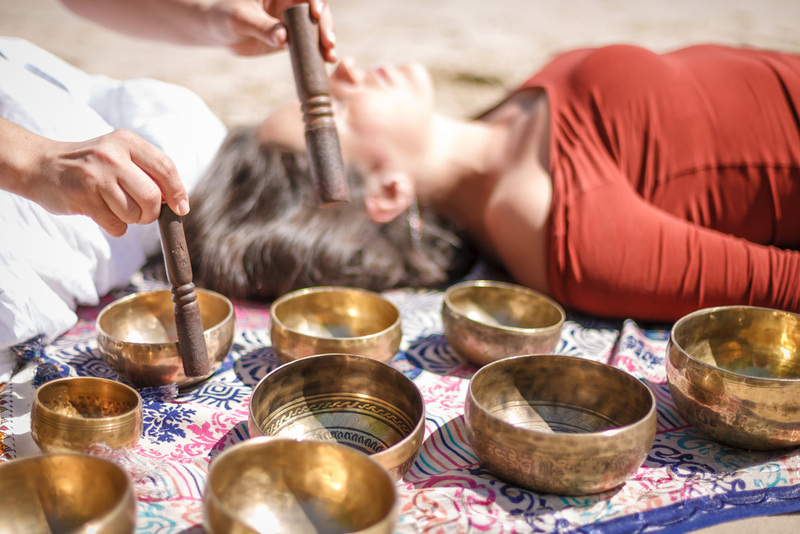 The practice, also known as a ‘gong bath’ because participants are bathed in meditation gong sound waves, is a unique kind of sound therapy. It involves using soothing and therapeutic gong sounds and vibrations that give the mind something to focus on and keep it occupied, gently guiding people into a state of deep meditation. Lying comfortably on meditation mats, with pillows and blankets, participants have their eyes closed and relax as the instructor guides them through the session. At first the gong is played very softly, and as the session continues, the volume is gradually increased, but never gets uncomfortable. Plus, the gong sound is changed often so the rhythm doesn’t get monotonous. All the auditory stimuli lead to entrainment, when one's brainwaves are guided to a desired frequency that is beneficial. Alpha frequencies, which are associated with creativity and feelings of relaxation, come first, and they are followed by Theta brainwaves, linked to deep meditation, hypnosis and REM sleep. Like the ripples you see when you throw a pebble into a lake, the gong’s sounds gently echoes over, around and through your body and makes you feel calm and relaxed. As the noises of the gong travel through the body via the vagus nerve, typically, the listener’s heart rate slows down, blood pressure drops and breathing goes back to its natural rhythm. The sound may heal in various ways, from influencing cellular functions and inducing biological systems to work more homeostatically, to calming the mind and subsequently the body. Plus, it can have emotional effects that impact neurotransmitters and neuropeptides, which then help regulate the immune system. A gong bath particularly aids in reducing stress, liberating emotional blockages, depression, fatigue and feelings of separation, as well as loneliness, anger, fear and numerous conditions caused by a lack of balance and harmony in the body and mind. 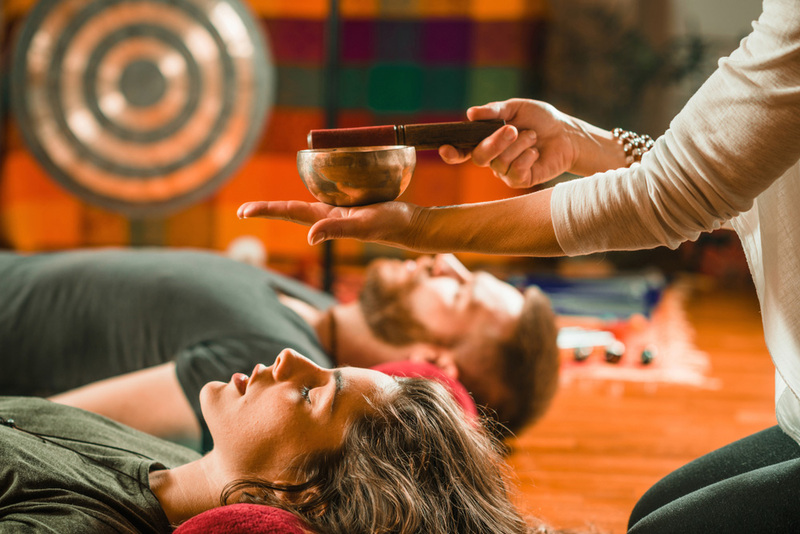 “A gong bath is the most powerful form of holistic resonance known to man,” Gong master and Kundalini yoga teacher told “Natural Awakenings.” As well as benefitting from setting imbalances right in the body, attendees feel more aware.